Explicit cigarette-style warnings of the link between drinking and health conditions such as bowel and breast cancer should appear on the labels of alcoholic drinks, a charity has suggested. The Royal Society for Public Health (RSPH) said fewer than one in six people (16%) were aware of the Government's low-risk alcohol guidelines, only one in 10 knew of the link between alcohol and cancer, and the majority (80%) were unable to correctly estimate the calories in a glass of wine. The RSPH, warning of an "alcohol health awareness vacuum", has published a report which recommends a best practice labelling scheme to raise public understanding of the effects of drinking on health. It wants to see a drink-drive warning on the front label, along with the mandatory inclusion of the government's low-risk drinking guidelines of no more than 14 units a week. The RSPH also suggested that traffic light colour coding could help drinkers make use of unit information in the context of the guidelines. The charity said its research indicated that a calorie content per container or per serving on the front label could result in an almost 10% swing in consumer purchasing decisions, from the highest-alcohol drinks to the lowest within all main drink categories - for example beers, wines and spirits - and across all socio-economic groups. It said the effect would be particularly pronounced among young drinkers, aged from 18 to 24, who would switch purchases from high to low-alcohol drinks by as much as 20%. The charity said a deadline set by the EU Commission for manufacturers to bring forward proposals for the self-regulated provision of calorie labelling is set to expire in March. It added that depending on the eventual shape of the UK's proposed exit from the EU, Britain may find itself left behind continental labelling advances - unless it manages to use Brexit as an opportunity to implement a best practice scheme faster and more efficiently. RSPH chief executive Shirley Cramer said: "Having a drink with friends or family is something many of us enjoy. "However, the potential health consequences of alcohol consumption are more serious than many people realise. If and when people choose to drink, they have the right to do so with full knowledge of both what their drink contains and the effects it could have. 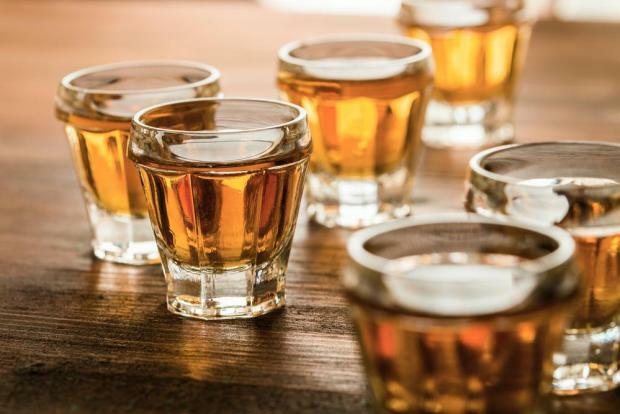 "Consumer health information and warnings are now mandatory and readily available on most products from tobacco to food and soft drinks, but alcohol continues to lag behind. "As Britain exits the EU, we ask that any additional regulatory freedom be used to strengthen that contribution - not to diminish it." Sir Ian Gilmore, chairman of the Alcohol Health Alliance, said: "It is clear from this research that the public want labels to include the drinking guidelines, and we know from our own research that 81% of the public want to see the guidelines on labels. "Alcohol is linked with over 200 disease and injury conditions, including heart disease, liver disease and at least seven types of cancer. We all have a right to know the drinking guidelines, along with the risks associated with alcohol, so that we are empowered to make informed choices about our drinking."